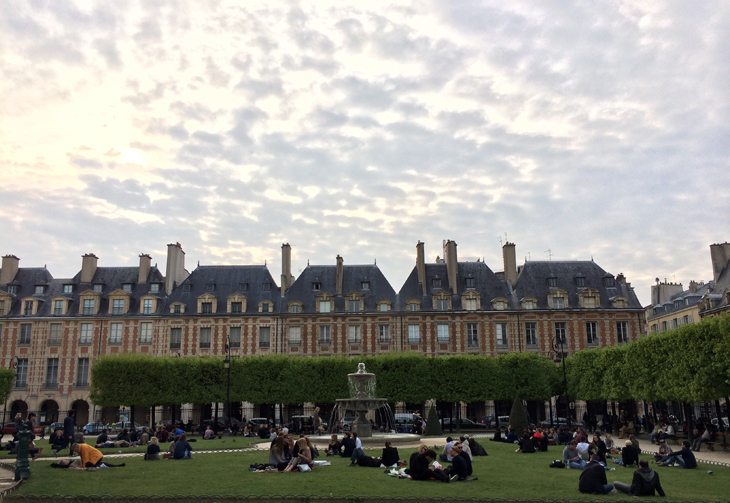 That incredible Paris light in the Place des Vosges. All photos by me (or Mr. SMC). Where does a person even begin when writing a Paris travel guide? I mean, there are entire books about this. How can I possibly sum it up in one story? So, I’ve taken a different approach. I’m assuming you can find the Eiffel Tower without my help, and that you know a day trip to Versailles is a must if you haven’t done it before. Instead, I’m taking you on a tour of my Paris. The restaurants I love, the shops I go back to again and again, the sites that are maybe just a bit off the path. Even if Paris isn’t on your horizon, I hope this will give you just the ‘virtual vacation’ you need today. And when you finally book that dream trip, I’m hoping perhaps you’ll take this list along and we can be travel buddies. Enjoy! This entry was posted in travel and tagged artus hotel, cos, gerard darel, marais, palais royal, paris, pavillon de la reine, rue de grenelle, st germain, stone paris on 21 May, 2014 by shoppingsmycardio. It’s here, friends! The big fat European vacation I’ve had on my bucket list for…oh, eight years and change…is finally on the horizon, and I am positively giddy. Two glorious weeks (and change) in Florence and Paris. It’s a good thing I have this face waiting for me at home, or I might expatriate while no one’s looking. 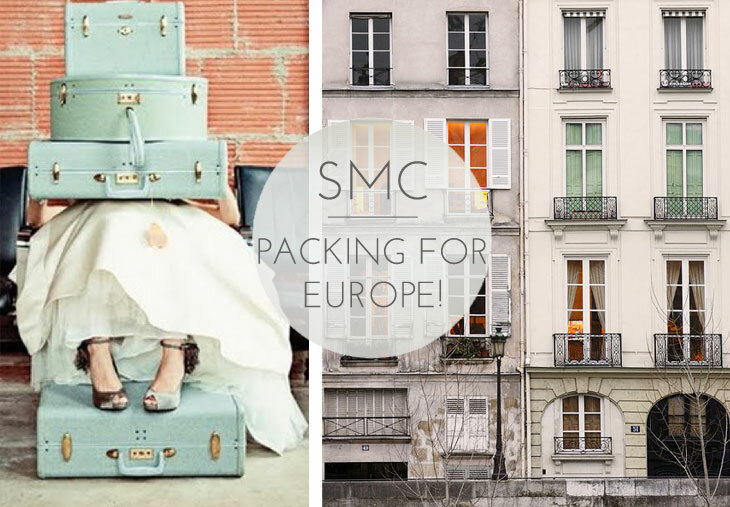 While I’m away, you won’t be lonely – I have some extremely stylish guests stopping by to share their idea of a dream day in Europe, and I’ll be popping in with envy-inducing travel snaps (if you’re not already following me on Instagram, now’s the time!). This entry was posted in travel and tagged europe, florence, france, paris, travel on 27 March, 2014 by shoppingsmycardio. This month’s Must Reads are almost all of the coffee table variety…and I’m cheating a bit because two of them aren’t even out for a few weeks. But they’re lovely enough that you’re going to want to pre-order. Take my word for it. I’m in the mood for Paris, as I almost always am. This month, I was lucky enough to find two utterly charming literary specimens to whisk us off to the Left Bank – at a price infinitely more reasonable than a first-class Air France ticket. Both are sketchbooks, both are entirely transporting, and I suspect that the contents of at least one will end up deconstructed and framed somewhere in my house. This entry was posted in must reads and tagged andre leon talley, little black dress, paris, paris line by line, paris sketchbook, summerset abbey on 26 March, 2013 by shoppingsmycardio. It’s all about resolutions this week at SMC. But not the kind that make you feel sad and lazy because you skipped the gym only 6 days into the new year. I’m talking about the kind of resolution that you get excited about! The kind you can’t lose! The kind that’s totally, totally worth keeping. This year, I’m resolving to save for a true worthy splurge. I’m still narrowing the field, but leaning heavily toward a Chanel bag for myself (don’t panic – consignment is just fine by me). Or a trip to Paris (with my new Chanel bag…). Saving, as opposed to hemorrhaging money every time Sigerson Morrison shows up on Gilt Groupe, can be a tricky business. Especially once you get a hefty chunk of change in the bank – all of a sudden, that $200 Inhabit cardigan on super sale at The Outnet feels like a steal. 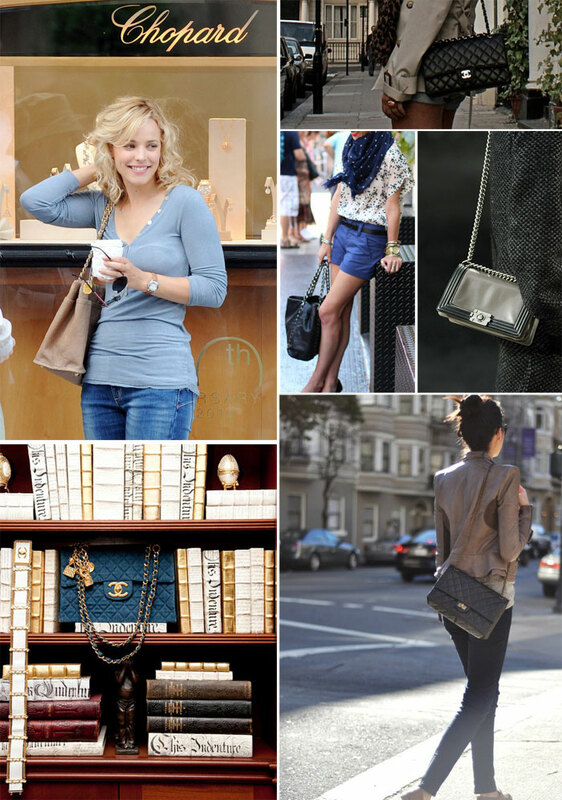 So, to help me keep my resolution, I’ve scoured the interwebs for photos of my dream bag, made myself a little inspiration board, and will be printing it (on actual paper), and hanging it somewhere within easy view of my computer screen. This way, whenever temptation comes calling, I’ll have an immediate reminder of the greater good – and, hopefully, at least allow myself a moment to prioritize. Now, does this mean I’m squirreling away every spare cent until my goal is reached? Or that I’m not spending a dime on other purchases until it happens? Of course not. Deprivation is not a virtue in my book. Telling myself I can’t have anything only makes me want everything. This applies in shopping, in diets, even in life. But it means I’m going to take a breath before I type in those credit card numbers. It means I’m going to look at those gorgeous photos of my dream bag, and decide if the purchase in question is worth setting me back on my goal just a bit. To put it in Buddhist parlance, I’m hoping to be a bit more mindful. And if this splurge takes two (or ten) years to make, I’ll be just fine. Chanel, however lovely, is not an emergency. So, here’s a fun question: If you resolved to save for a worthy splurge, what would it be? 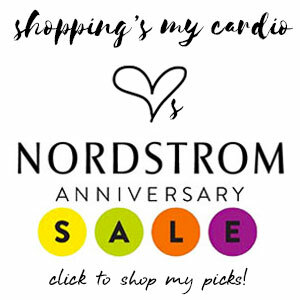 This entry was posted in fashion, myself and i, travel, worthy splurge and tagged chanel, paris on 4 January, 2012 by shoppingsmycardio. it’s getting to that time of year when i’m restless, and just desperate for a vacation. but, times being what they are, i’m relegated to daydreaming about fabulous locations. for me, it’s not so much about the sightseeing (though i do that too). it’s about the shopping (duh), the food, and the people-watching….just relaxing and “being” in a city. if you’re the same, you’re going to love taschen’s paris. this is quite possibly my favorite “picture book” of the year (though i know it’s only march). it’s essentially the perfect marriage of a coffee table book about a city and a guidebook – you get the best of both. 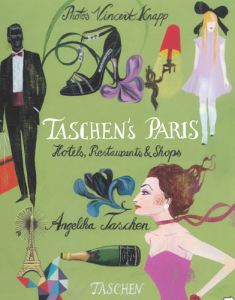 rather than the traditional travel book about cathedrals and museums, taschen’s paris is devoted to three things: hotels, restaurants and shopping. the book is broken down into those three categories, and is piled high with gorgeous photos of the best in each group. it’s exactly what i wish every guidebook could be…though it’s definitely not portable. 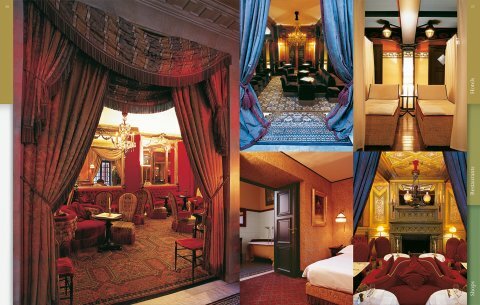 you get photos of rooms, lobbies and salons in the best hotels in paris. you’ll see fantastic plates of food and the most perfect sidewalk cafes for people-watching. and the shopping section…le sigh! 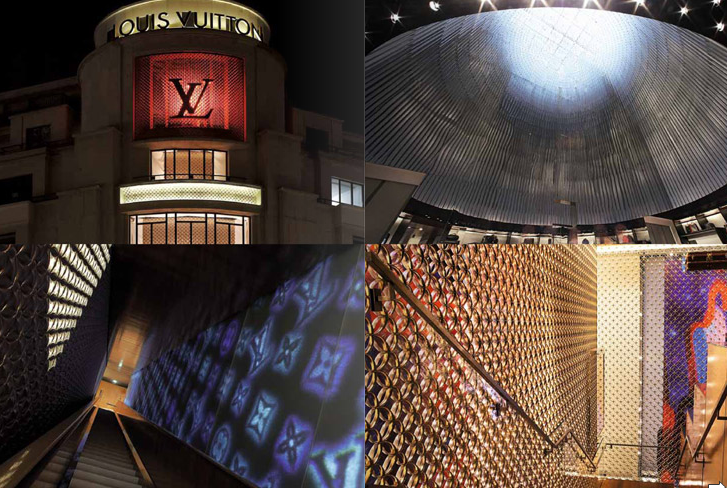 you’ll get photos of every stunning flagship store in paris (hermes, louis vuitton, etc), but you’ll also find out about the little hidden gems – sometimes so hidden, they don’t even have a storefront! if you’re craving a vacation, but paris isn’t in your budget this month, taschen’s paris will get you as close as you can get without boarding a flight. splurge on a box of macarons (the next best thing to sitting in the laduree tea salon), brew a lovely cup of tea, and curl up in your favorite chair with this book. you’ll be transported, i can promise you that. leaf through some of the amazing photos at taschen’s website (warning – you’ll become a fast addict to the rest of taschen’s publications! ), or at amazon. and stay tuned…i predict more wanderlust ahead! This entry was posted in must reads, travel and tagged paris, taschen on 23 March, 2009 by shoppingsmycardio.